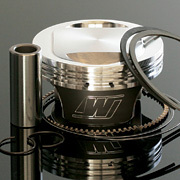 Wiseco leads the performance aftermarket by producing the highest quality forged pistons for Harley-Davidson right here in the USA. 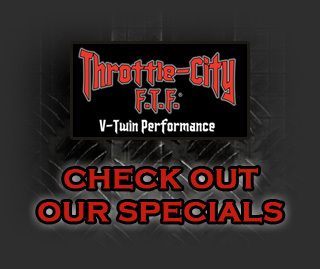 Extreme conditions demand the strength and toughness that only forged pistons can offer. Compared to cast pistons, forgings are tougher, more durable, & will stand up to the abuse that high performance V-Twin applications require. These superior quality pistons come with Armor Glide skirt coating, a high-tech lubricant that reduces friction & also allows the piston to be fit tighter within the bore promoting a better ring seal & reduced noise from piston rock. Made in the USA. Sold complete including two pistons, rings, wrist pins & circlips. Std. & oversizes available. Bore Stroke Comp. Cu. In.